Do You Know The Health Benefits Of Standing Desks? Anything in excess would kill you, and this saying goes with excess consumption of alcohol, food, and a deadly activity-sitting. Do you really think that sitting is a deadly activity? There have been researches going on which reveals that people who sit for more than 6 hours a day have 20% higher death rate than those people who sit less than three hours a day. To be specific, it is 40% in women. And do you know that you can’t even do anything to the effects of sitting at the office for long hours? Though you exercise daily and get a benefit from your gym workout, yet sitting for long hours will harm you. You might be thinking that how sitting can harm you. So, here I have got an answer for you in simple words. When you slouch in your chair, the calorie-burning of your body decreases which ultimately results in the dropping off your metabolism. This further increases the high risk of developing diabetes and obesity. The American Cancer Society recently established the link between obesity and sitting. It has been found that those people are at least risk of being obese who stand for at least quarter of the day. The benefits are more found in women than men. So, it means that sit less up to the point until when it is not harmful to our body. You can clearly see the appeal of those standing desks available in the market. Though there are numerous standing desks options available, yet you can choose the one which you like the most and is suitable for you. So, we have got the solution for you, and that is the use of the standing desks. You can just incorporate other activities into your normal day, and the best activity is standing at a desk while working. Here we have a list of the health benefits of standing desks. If you prefer to work by standing at your desk will keep your body at a constant state of incremental motion and thus will help in increasing the flexibility and the range of motion. It is obvious that while sitting as well you will try to move around, yet it is less as compared to those people who work on the standing desks. So, while standing at your desk will keep your whole body engaged in one or the other works, and this helps in improving the ability of your body in moving and reacting easily. Here we have one of the best health benefits of the standing desks that is to burn calories. You just have to push a button on your desk to raise it little higher so as to make yourself feel comfortable in a standing position. Standing significantly helps in breaking down the body sugars as well as the fats. This particularly means that standing is more efficient and effective way of burning calories. It helps in losing around 8 lbs every year. Apart from burning calories, standing desks even help us in increasing our brain power. In simple words, it means that using the standing desks helps our body to circulate the blood efficiently without any problems. If you work by standing at the standing desk will help your body feel fresh with the engaged fresh oxygen and blood which ultimately helps in keeping your mind more focused and sharp. Yes, standing at your work desk helps in staying focused at your work. Also, it helps you in being more successful and productive in your works. Standing desks not only helps in kicking off cancer to the curb but even helps in reducing the risk of cardiovascular diseases. It has been found that those people who spend more than 2 hours in sitting are at an increased risk of cardiovascular diseases like heart attacks or chest pain. So, if you want to combat those situations, then use a standing desk. The one major reason to use the standing desks is that it helps in increase our life span. If you really want to live longer, then just change your work lifestyle from sitting to standing. The more you work while standing will help you in strengthening and protecting you from all odd situations and thus, you will live longer. Sitting for long duration have a negative impact on our health and with the extended period of sitting at the desks is directly associated with the reduced levels of blood circulating and glucose in the bloodstream. This significantly increases the chance of type 2 diabetes. Standing significantly helps in circulating the blood all over the body which keeps us fresh and more focused on our work. 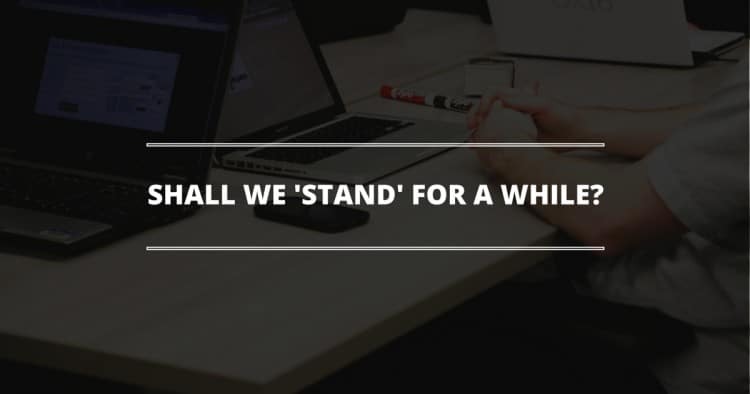 So, if you are you are really going to start the activity of standing while working in your office, then we would recommend you to split the time between sitting and standing. It is just because standing for long duration can lead to foot, back or knee problems. The best way is either to use a standing desk which can be adjusted easily or a tall chair. 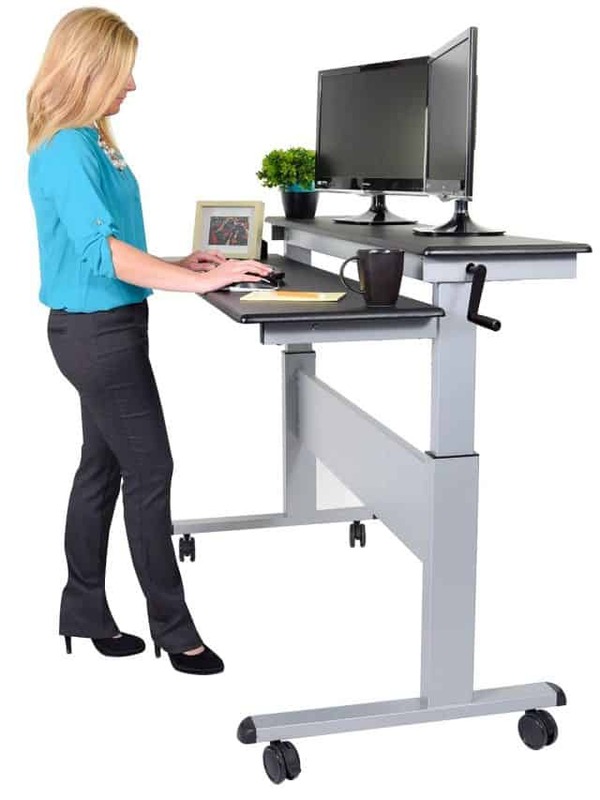 With these amazing health benefits of the standing desks, aren’t you going to buy one for you?